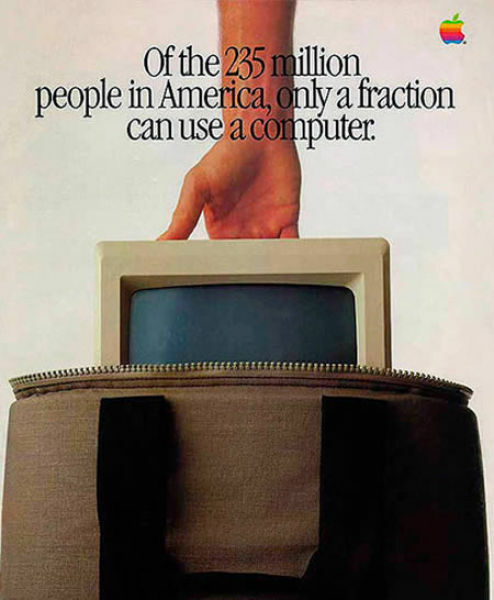 The code is on GitHub, while the packages for download are on SourceForge. The Freecode page still has to be approved, but will be available here when it is. 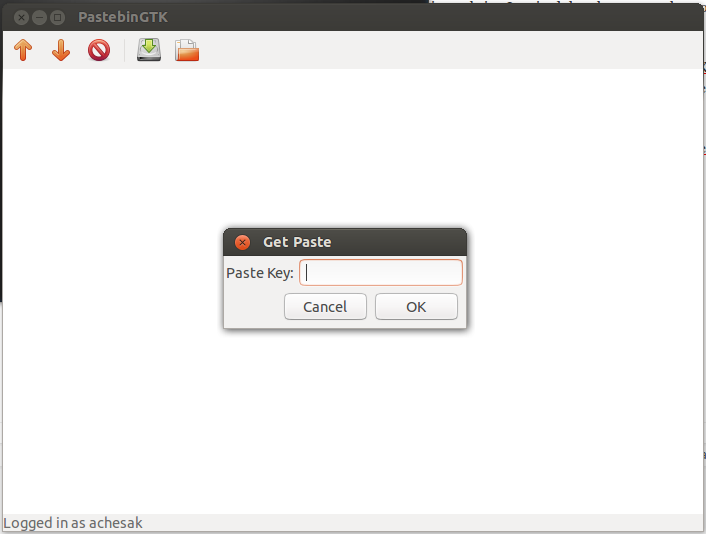 PastebinGTK can create, retrieve, and delete pastes on pastebin.com. It also supports logged in users and can get lists of trending pastes. 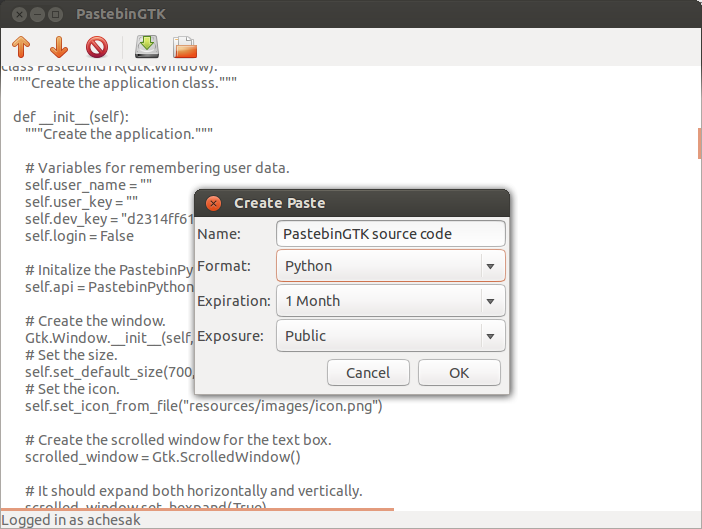 To make editing easier you can open and save files directly from within PastebinGTK. So I got distracted from working on the geology application (again), and instead started on a new project. 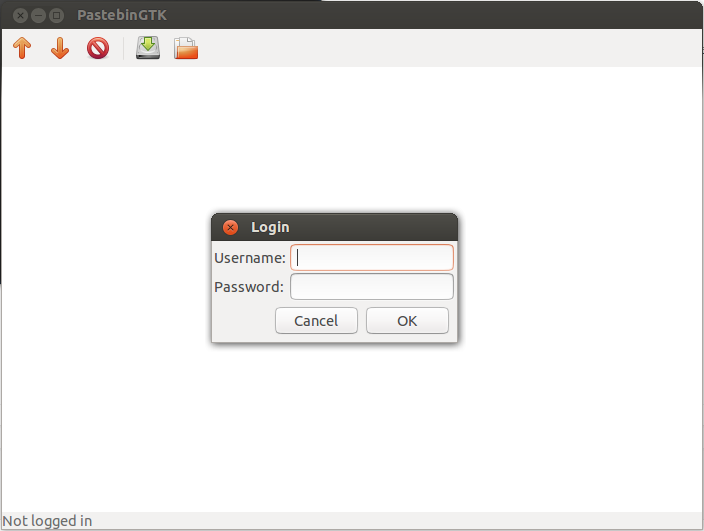 PastebinGTK is a Linux desktop client for the pastebin.com text sharing website. I noticed that there was only a command line application for Linux, not a graphical one, and as it’s something I’d find useful I decided to write one myself. 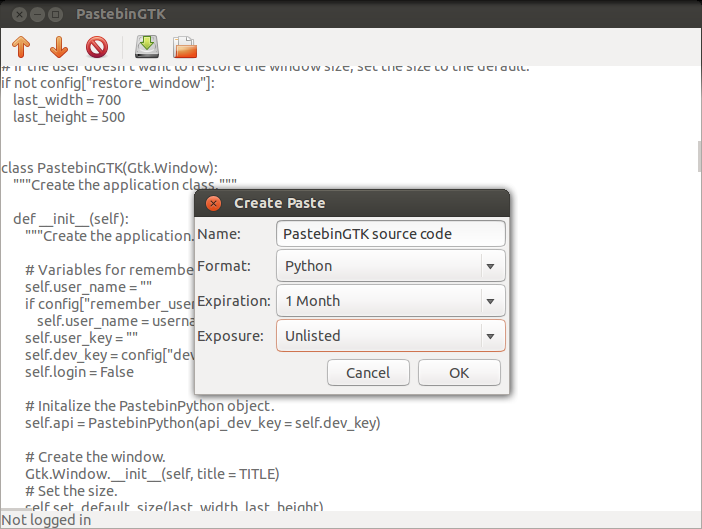 PastebinGTK is written in Python (should work with both Python 2 and 3), and as the name makes clear uses GTK+ for the GUI (hey, I’m horrible with coming up with interesting names for things). It’s mostly done at this point; all the major features like saving and retrieving pastes are done. I think all I have left is to implement the settings and write the help. The code is just on GitHub right now, though when I have it complete I’ll probably create a project page on SourceForge as well. When you start the application you’re prompted to log in. You don’t have to, but you’ll need to if you want to save your pastes to an account. 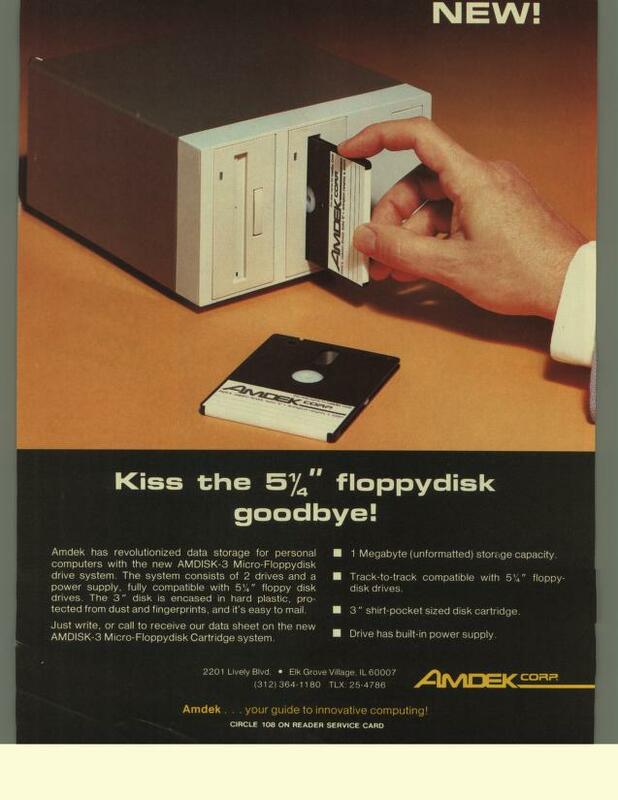 Enter the key of an existing paste to retrieve it. Upload your own text. You can set the title, format, expiration date, and privacy settings. – Object oriented programming experience in Haskell.